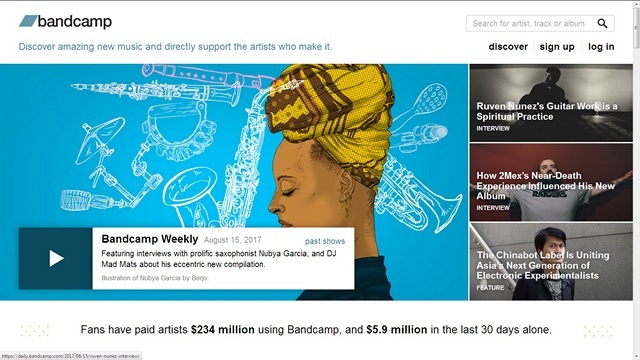 Bandcamp is probably the first name that comes to mind when you talk of SoundCloud alternatives. 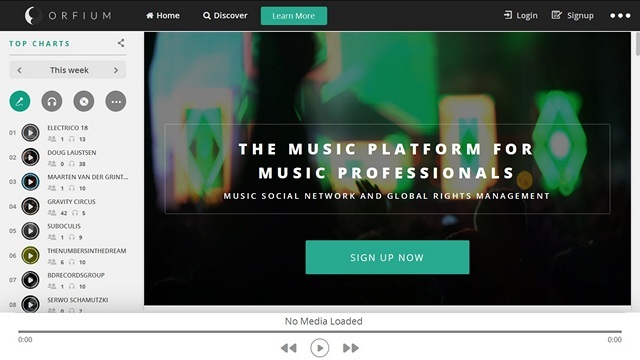 It is a music publishing platform that has been around for over a decade. Like SoundCloud, it also caters to indie artists for the most part, and is often the first port of call for musicians looking for an alternative to SoundCloud. Artists who sign up with the service are provided with their own customizable microsite where they can upload and share their music. As a fan, you can stream all tracks for free, but can also choose to buy either entire albums or individual tracks at prices that you set yourself. You can also donate to an artist or receive a free track or album by joining the artist’s mailing list. Unlike SoundCloud, musicians don’t need to pay a fixed yearly amount to Bandcamp to upload their music. The company charges a 15% commission until your overall sales reach $5,000, after which, the commission drops to 10%. Each artist’s page on the Bandcamp website also features information on the artist, their social media links, merchandising links and a list of their available music. The service was a website-only platform until 2013, when the company launched its mobile apps for Android and iOS. 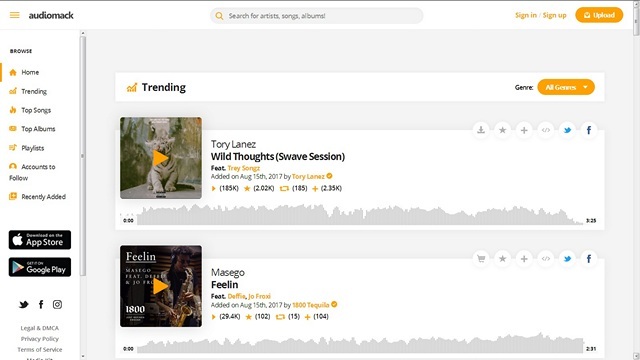 Primarily known as a hip-hop platform until now, Audiomack is one of the top SoundCloud alternatives on the internet and, has been gaining a cult following among producers and DJs in recent times. 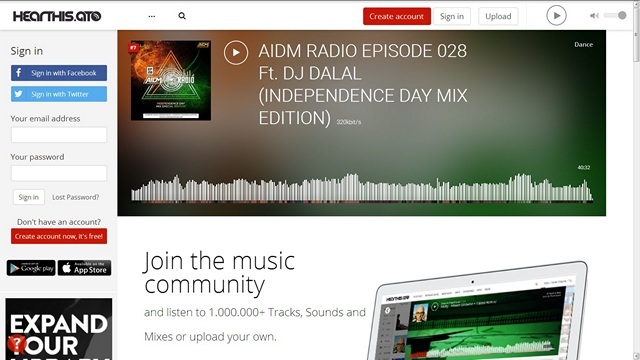 The site’s design borrows heavily from the familiar SoundCloud website, and so does its list of features for the listeners. That being the case, you’ll get to share, like/favorite, repost and add to playlist any track you like, just like SoundCloud. However, unlike SoundCloud that charges users $180 per year for unlimited storage, Audiomack is completely free, with no premium accounts. Audiomack is also just the third platform after SoundCloud and BandCamp to integrate its services with influential music blog aggregator Hype Machine. As of now, Audiomack claims to have over 5 million monthly users, and its mobile app is also extremely popular both on Android and iOS. It remains to be seen if the service will ever match up to the popularity and ubiquity of SoundCloud, but it is surely on the right track. As an artist, if you’re looking to reach your fans directly by cutting out the assortment of middlemen, YungCloud is a great alternative to Soundcloud. 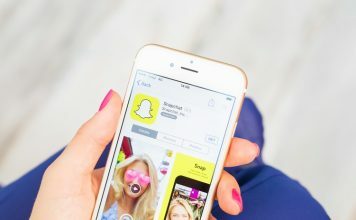 According to its founders, “Yungcloud is meant to connect up-and-coming artists and provide them with a platform to get their music heard by larger audiences”. True to its name, the service is much younger than any of the other platforms above it in out list, having been launched only in 2015. The YungCloud website is pretty similar to that of SoundCloud in terms of its look and feel, so existing SoundCloud users will feel at-home while using the platform. While YungCloud has all the makings of an effective SoundCloud alternative, there are a few things that are holding it back right now. One of the major complaints about the platform has been the relatively high number of bootlegs that exist unabated. The company will obviously have to tackle this problem seriously if it wants to be taken seriously by musicians from around the world. Secondly, the service’s relatively small user-base is also a problem for indie artistes who want their music to reach as many listeners as possible. However, once YungCloud tackles these issues, chances are, it will be a more effective SoundCloud alternative than it is at the moment. 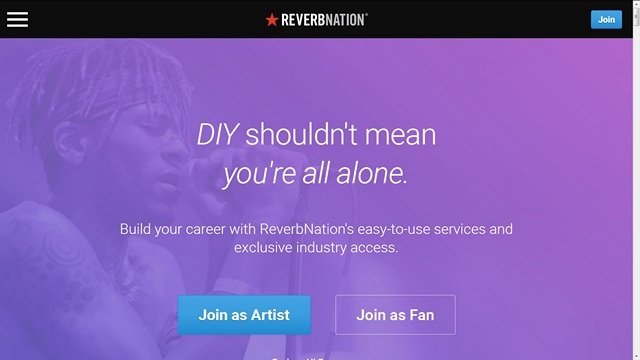 ReverbNation describes itself as an online platform that “helps artists grow by introducing them to music industry partners, exposing them to fans, and building innovative tools to promote their music”. Like SoundCloud, ReverbNation has also been around for a long time, but unlike its biggest competitor, it focuses on local indie artists and towards that end, informs users of everything happening in the music scene in their neighborhood. The platform also seeks to connect local artists with local fans, and provides a solid platform for musicians to establish a stable platform in their hometown before venturing out for bigger and better things. Like SoundCloud, ReverbNation also allows users to discover music based on their tastes. As part of ReverbNation’s focus on local indie artists, the service also has a ‘Shows’ feature that provides users with a list of shows and events happening near them. Overall, ReverbNation may not be as popular as some of the more well-known names in the business, but is certainly worth checking out as a SoundCloud alternative. Apps: Android (for artists) (for fans), iOS (for artists) (for fans). HearThis officially describes itself as the “Best SoundCloud alternative on the internet”. 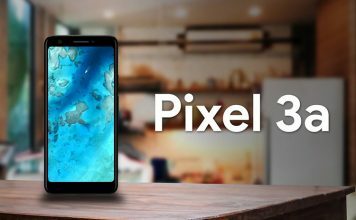 While that in itself means precious little, the fact is that the service does offer tons of features that match those of its more illustrious competitor. The rich set of features include feeds, profile pages and the ability to like, comment and share tracks. In addition to all that, HearThis also offers a feature called ‘Maps’ that keeps you up-to-date about the local music scene. HearThis also allows users to import their SoundCloud profile into their platform, making it even easier for users wanting to migrate to the service. HearThis allows users to sort their feed by genre, length of the track and when it was uploaded. The service also has a ‘Groups’ feature that was once a staple of SoundCloud, but has since been done away with. If you’re a musician and looking to jump onto the HearThis platform, you’ll also be happy to know that just like SoundCloud, the service also offers artists the opportunity to sell their music directly to fans by cutting out record labels and other middlemen. Orfium is a fast-rising online music publishing platform that offers musicians direct upload and unlimited free hosting. You also get the opportunity to promote, sell, distribute, license and monetize your music while retaining 100% of your copyright, which means you’re entitled to collect royalties every time your music is played on YouTube, Facebook or elsewhere. Orfium charges a commission of just 20% on your earnings once your content starts generating revenue and, unlike SoundCloud, you don’t have to pay anything to upload your music to the platform. As for the fans, the Orfium website feels similar to SoundCloud insofar as it has tabs for albums, tracks and playlists. The service also offers a ‘Discover’ feature similar to that of SoundCloud’s, but you can also search for music manually by genre, sub-genre and mood. Overall, Orfium has got everything going for it, and it shouldn’t be long before it attains critical mass, given how fast it has risen this much in such a short span of time. NoiseTrade is a Nashville, TN-based service that offers a way for independent musicians to upload their songs and share their albums with fans for free, much like SoundCloud. The platform also offers a similar feature for authors, but I didn’t quite give it any more than a cursory glance, so will refrain from making any statements about it at this stage. While the platform aimed at authors is a relatively new rollout, the service for musicians has been in existence for almost a decade, having been launched back in 2008 by American singer-songwriter Derek Webb and a few other musicians. According to NoiseTrade’s official website, the platform was “designed to help artists build their audiences by distributing free music in exchange for fan data (email & postal code)”. NoiseTrade allows artists to upload their music that can then be downloaded by fans for free. In return for their free music, fans need to signup with an email ID and a Zip/Postal code and subscribe to an optional newsletter. Fans are also encouraged to share an artist’s work on social media and can pay the artists any amount of their choosing. NoiseTrade keeps a 20% commission, so artists get to keep as much as 80% of the money they receive from their fans. Jamendo is an online music distribution platform that describes itself as “the world’s largest digital service for free music”. It was launched in 2005 with a view towards releasing music under the Creative Commons licenses, and although the company has since let go of those lofty ideals, it still offers free music for for personal use. 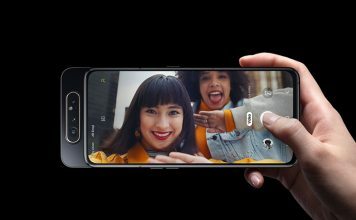 According to the company’s website, its goal is to connect artists and their fans from all over the world in an effort to bring together a global community of indie music lovers by “creating experiences and value around it”. 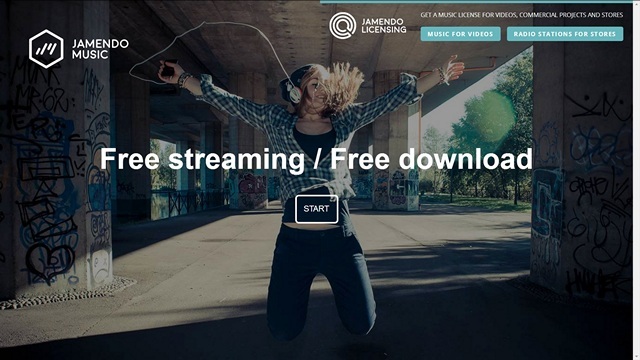 Jamendo allows free music downloads for fans, but lets artists monetize their content through its music licensing platform called ‘Jamendo Licensing’, which sells licenses for music synchronization and background music. The company claims to have a community of around 3 million members, and has over 40,000 artists on its platform from around 150 countries. All the aforementioned sites are fairly similar to SoundCloud in more ways than not, but Mixcloud is a little different from most of them. Unlike SoundCloud (and its alternatives mentioned herein), Mixcloud is aimed more at podcasters, talk show hosts and DJs than singers and musicians in general. That because you don’t really get to upload entire albums at one go, but only one track at a time. Sure, you can upload your original music one track at a time, but it is highly inconvenient for both the artist and the listener. 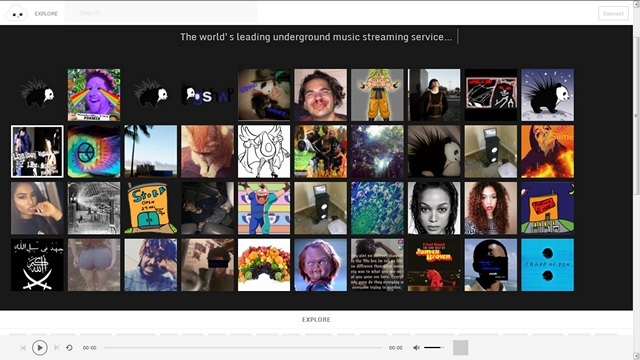 Unlike SoundCloud, Mixcloud does not establish any connection between creators and consumers, but allows users to discover content by searching for an artist’s name from the site’s built-in search option. It is not remotely as intuitive or feature-rich as SoundCloud, Bandcamp or Audiomack, but gets the job done for the most part. 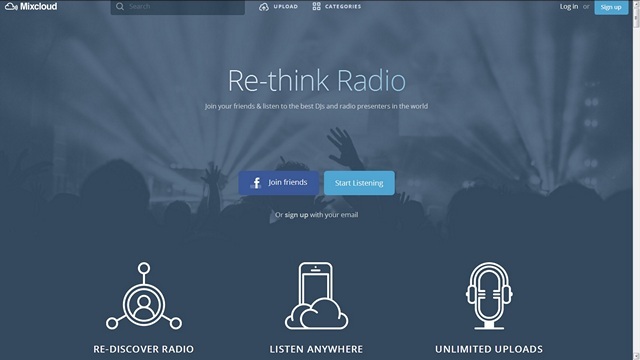 In a word, Mixcloud is great if you are a radio talk show host or a podcaster, but if you’re a musician looking to connect with your fans, there are better services available for you on the internet. Now that SoundClound has survived its brush with extinction, it will hopefully not just survive, but thrive going forward. Sure, it has warmed up to the record labels in recent times, which has alienated it from many of its users, but it continues to remain the leading music publishing platform for indie musicians worldwide. Whatever our feelings are about SoundCloud, whether we love it or hate it, we all recognize that more options are always a good thing. Which is exactly what all the above platforms bring to the table. So, have you used any of the above SoundCloud alternatives? Or are you planning to in the future? Do let us know by leaving your thoughts in the comments section below.